Imagine pressing “print” and watching as a miniature, three-dimensional model of your building project suddenly appears in front of your eyes. As 3D printing technology advances and becomes more widespread, this becomes a reality. In this blog post, we will discuss and examine the uses of new 3D-printing technology in the architecture design process for steel buildings. The printing of 3D models has an impact across many different industries, providing new ways to examine the work we do on a scaled-down level. The 3D printing process has potential in the field of architecture and for pre-engineered building erectors in Southern California by creating a more exciting and informative experience for both architect and client. Before the building phase of any of our steel building projects, computer aided design, or CAD, is used to draw up an image of the structure to assess it for improvements, modifications, or seek approval for building. This digital image is then used as a model for the building process. While CAD files are effective in project planning, the problem with these 2-D files is how difficult it can be to discern the details of a finished structure from the computer screen. 3D printed models create a miniature version of the structure and bring it to life for the client in a tangible, exciting way. 3D printing is the process of creating a 3-Dimensional object from a digital CAD file. Printers create the object layer by layer typically in a plastic material, essentially breaking down the design into hundreds or thousands of small layers. Through an additive process, the printers then build layer upon layer until the model is complete, resulting in a 3D model or object. 3D printing gives architects the opportunity to experiment and play with new and innovative designs in a way they couldn’t before. It provides a medium for architects to draft up new design ideas and examine them from all angles, leading to more creative and complex structural designs as well as future innovations. In the world of architecture, physical to-scale models of the finished product is key to examining the details of each project before building begins. A 3D printed model provides a unique visual experience that can’t be created with blueprints, drawings, and even 3D CAD designs. It allows the architect and the client to view the product in a real space, granting a perspective on how the building comes together as a whole on a smaller scale. For now, we are simply scratching the surface of the potential of 3D printing. As more materials are available to print, and prices on desktop models drop making them more affordable, the possibilities of design and technique seem endless. Who knows? Maybe one day we will be able to print buildings from the ground up; some designers in China have already been experimenting with this technique! The strong presentation of a 3D model allows the client and architect to communicate effectively, ensuring the design is on track and avoiding expensive changes once the project is under construction. 3D technology provides a tangible way to experience the building on a smaller scale, seeing details, design, texture, and even color from every angle. If you aren’t looking to create a project from the ground up, our metal building kits may be a great option. 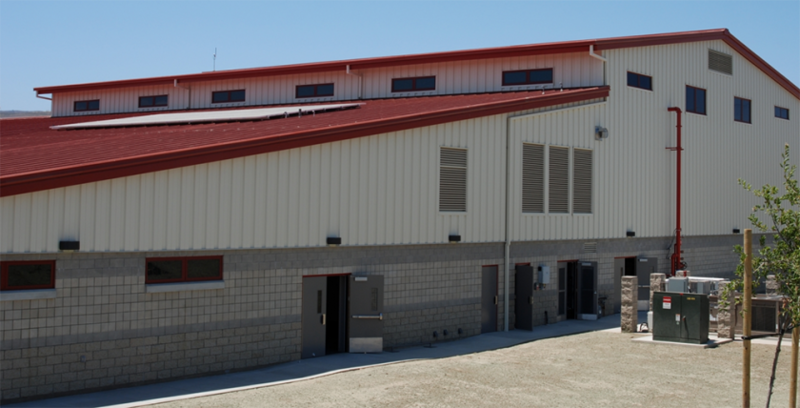 Backed by the strongest warranties in the industry, our pre-engineered steel buildings are built for success in according to a tried and true process and design made to fit your structural and coded needs. Find out if 3D printing architectural models are available and request a quote for your project today.